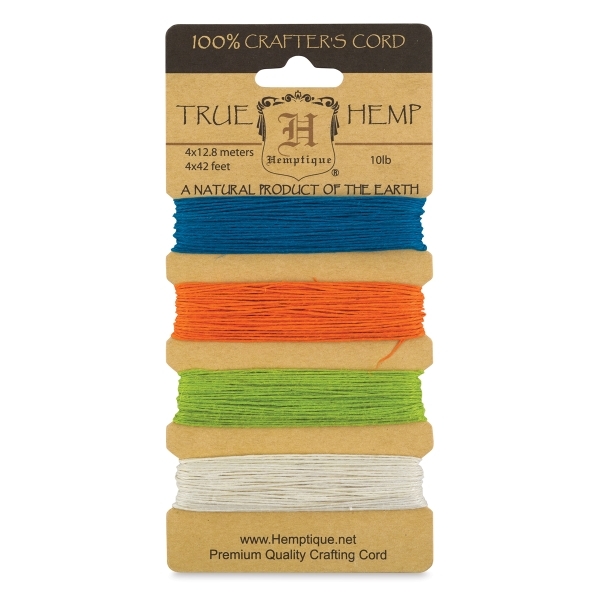 Offered in a range of rich, earthy colors as well as bright, vibrant hues, Hemptique Hemp Cord is ideal for jewelry making and other crafts. Plus, it's earth-friendly, biodegradable, and 100% natural. Choose from 10 lb or 20 lb weights. Each card contains four lengths of cord, including one each of Turquoise, Orange, Lime Green, and Natural.